What is setting Manchester’s property market apart? Having remained a target for extensive regeneration and development, Manchester’s position as the UK’s Northern Powerhouse is ensuring a robust market for property investors. Here, we explore some of the reasons why this flourishing Northern city will continue to attract a great deal of attention from investors at home and abroad in 2016 and beyond. 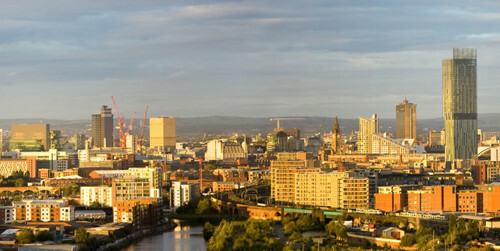 Manchester is expected to welcome tens of thousands of new residents in the next ten years. 50,000 people are forecast to set up home in the city centre alone. Much of this rapid influx can be put down to Manchester’s thriving economy, which is developing opportunities for employment at an unprecedented rate. 57,000 new jobs have been created since 2010, and 36,000 office jobs are expected to be introduced into the marketplace over the course of the coming decade. With this level of migration comes an urgent demand for accommodation. The authorities have predicted that Manchester will need to build 100,000 new homes by 2025 to meet its housing objectives, but there is already a shortfall against initial targets – just 4,500 homes were completed across the whole of the city between 2010 and 2015, when it has been advised that 10,000 are needed to keep up with the burgeoning population. That’s not to say that new development work thin on the ground, as Surrenden Invest noted in this piece from last year. Experts are expecting household growth in Manchester to rise sharply by around 6% per annum over the next five years as a result of the supply crisis, and the city has also been achieving the highest rental yields in the UK during this time. In the census period between 2001 and 2011, private renting rose by over 400% in Central Manchester and Salford. Now, over 60% of the local population is renting. These statistics show us that opportunities for buy-to-let investors are, therefore, at an optimum. But those forecasters who have put growth at a further 20% over the course of the next three years may argue that these opportunities may not yet be at their peak, which is strong encouragement for investors looking for consistently strong yields in the long term. Aside from the financial and economic advantages of moving to Manchester, those keen to call the city home are also drawn to the area because it offers a much higher standard of living than many other locations in the UK. In fact, Manchester was voted the UK’s best city to live in by the Economist Intelligence Unit’s yearly Global Liveability Survey in 2015, which rates cities from across the globe on a range of factors that are typically important to residents, including health care provisions, education, stability, culture, environment and infrastructure. Manchester ranked 46th on the list; interestingly, London, another region regarded as a property hotspot, came in at 53. Now regarded internationally as one of the UK’s best places to live, Manchester is without doubt one of the best places to invest. To learn more about our latest property investment opportunities in Manchester, contact the consultants at Surrenden Invest today.